R Madhavan will play the role of the an encounter specialist with Vijay Sethupathi as his nemesis. 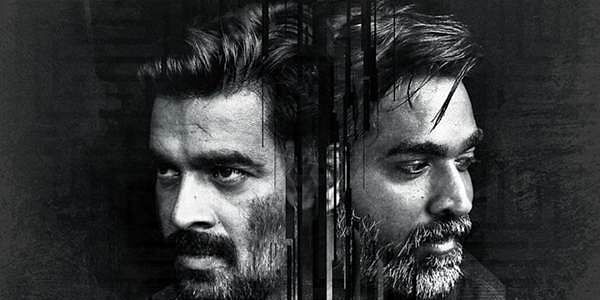 The online release of Vikram Veda , the upcoming Tamil crime-thriller, has awed the fans of Madhavan and Vijay Sethupathi. The movie has been directed by the Pushkar and Gayathri duo, featuring R Madhavan and Vijay Sethupathi in the lead roles. Shraddha Srinath, Varalaxmi Sarathkumar, Kathir and John Vijay play supporting roles in the movie. Though the storyline will be typically about a cop in pursuit of the villain, the director has added a new flavour to the storyline inspired by the folk tale - Vikramathithan Vedhalam. The crew officially began production in Novemeber 2016 and the shooting was wrapped up earlier in January. The post production work is now underway.